The Grand Valley located in Colorado. Photo credit: iStock. Earlier this year, I dove into a few American wine regions, both large and small, to get a pulse on the state of the wine being made in regions other than California, Washington, and Oregon. 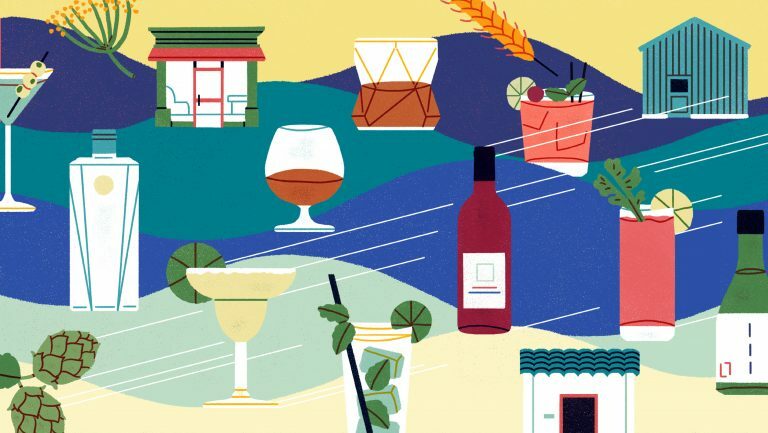 The idea to seek out regional American wines has been a topic steadily growing in interest as local food, craft beer, and spirits have driven the conversation in American dining culture. And while it has lagged, wine from all over the country is beginning to gain some well-deserved recognition. Here, we’ll consider four more states making great American wine: Virginia, Ohio, Colorado, and Idaho. When people think of regional American wines, Virginia often comes to mind. After all, it falls among the top 10 wine-producing states in the country in terms of production, and thanks to the curiosity of Founding Fathers like Thomas Jefferson, it has quite the winegrowing history. In hopes of one day realizing the promise of fine Virginia wines, Jefferson planted the first European grapes on the East Coast, cultivating them for more than 30 years. Though the experiments at his Monticello vineyards never produced a single bottle, he was a true champion of Virginia’s potential. In the 1820s, wines made from native American grapes such as Norton—resistant to the diseases that would plague European grapes later that century—began finding success. The discovery in the late 1800s that Vitis vinifera could be grafted onto resistant American rootstocks gave Virginia’s nascent wine industry a lift, but it wasn’t until after Prohibition that the industry began to make strides. By the 1970s, wineries such as Waverly Estate and Barboursville Vineyards were well on their way to developing a promising industry. Barboursville traces its roots to James Barbour, a friend of Jefferson’s, who served as governor of Virginia during the War of 1812 and later in President John Quincy Adams’s cabinet. In 1976, the estate was purchased by Gianni Zonin, whose Veneto-based family has a long winemaking history. Winemaker Luca Paschina, a native of Piedmont, Italy, joined Barboursville in 1990 as a consultant and has since worked to reestablish much of the original vineyard with better rootstocks and clones. With 185 vineyard acres, Barboursville produces an average of 37,000 cases of wine each year, featuring everything from crisp Vermentino, Pinot Grigio, and Falanghina to elegant Cabernet Franc, Nebbiolo, and the winery’s flagship Bordeaux blend, Octagon. Altogether, Virginia has about 3,800 acres planted primarily to Chardonnay, Cabernet Franc, Cabernet Sauvignon, Viognier, and Petit Verdot, though there are also significant plantings of hybrid and native grapes, including Seyval Blanc, Chambourcin, Vidal Blanc, and Norton. One point of differentiation for Virginia wine comes from a state law that was passed in 1984 and requires that to be a winery, 51% of grapes must be grown on the property. This essentially means that all wineries must also be vineyards, but not all vineyards must be wineries. Today, there are about 300 wineries throughout the state. Located on the Delmarva Peninsula, the Virginia’s Eastern Shore AVA encompasses about 70 miles of Virginia shoreline, bordered by the Chesapeake Bay to the west and the Atlantic Ocean to the east. With elevations rising only 50 feet above sea level, the small region is home to just a few wineries. Located in the Piedmont area of Central Virginia along the eastern slopes of the Blue Ridge Mountains, the region spans 800,000 acres. Named for Thomas Jefferson’s historic home, Monticello offers fertile, granite-based clay soil. There are about two dozen wineries in the area, and the most notable grapes are Cabernet Franc, Chardonnay, and Viognier. Located along 22 miles of the eastern slopes of the Allegheny Mountains in Western Virginia, this small AVA is home to only one winery. Elevations range from 1,200 to 2,200 feet, and vineyards enjoy cool, foggy summer mornings and westerly winds during the growing season. Situated in the historic Tidewater region of eastern Virginia, this AVA falls between the Potomac and York Rivers, with the Chesapeake Bay to the east. It encompasses more than 590,000 acres, with sandy loam soils and a temperate climate year-round. With nearly a dozen wineries, the region has found success with Cabernet Franc, Chardonnay, Vidal Blanc, and Chambourcin. A 9,000-acre region on the eastern slopes of the Blue Ridge Mountains astride the Blue Ridge Parkway, Rocky Knob contains just two wineries. With elevations between 1,600 and 3,575 feet, strong winds are common, keeping disease pressure low. Soils are primarily well-drained loam and gravel. Located 50 miles west of Washington, DC, the Middleburg AVA covers approximately 190 square miles and contains 229 acres of commercial vineyards and 24 wineries. The rolling landscape is rich with soils of granite and eroded sandstone. Along the northwest slice of the state, this AVA is bound by the Blue Ridge Mountains to the east and the Appalachian and Allegheny Plateaus to the west. Spanning more than 2.4 million acres, this is one of the largest AVAs in the country and is home to about two dozen wineries. Most of the region lies within Virginia, though a small portion stretches into the Eastern Panhandle of West Virginia. Virginia has a wide variance in elevations due to its coastal border to the east and its mountainous border to the west, where the peaks of the Blue Ridge Mountains reach upwards of 7,000 feet. It’s not uncommon to see vineyards planted at sea level in the east, or at elevations of 3,000 feet in the west, as is the case with Chateau Morrisette in the Rocky Knob AVA. By extension, there are also significant variances in climatic conditions. The southwest and the Shenandoah Valley average a 160-day growing season, whereas east of the Blue Ridge, the growing season stretches to 200 days. As for soils, limestone reigns in the Shenandoah Valley, while central Virginia is home to red clay, and eastern Virginia is predominantly sandy loam. In addition to Barboursville, wineries that have stood out in recent years are those that have focused on site selection for vineyards and the relationship between soils and slope. Linden Vineyards is an important example. In 1983, Jim Law founded the estate in northern Virginia after carefully evaluating different plots of land for good elevations and aspect. In 1985, he planted primarily Bordeaux grapes, and in the years following, he meticulously worked the site, adjusting plantings based on his observations. Today, Linden Vineyards produces about 4,000 cases annually, sold mostly through the winery and in restaurants across the state. Because of the great diversity of soils in the northern part of Virginia, Law has paid specific attention to the microclimates, aspect, slope, and elevation of the 30 acres he manages across three vineyards. According to him, attention to these details is the key to combatting rain and humidity. Like Law, Rutger de Vink, Joshua Grainer, and Jarad Slipp of RdV Vineyards in Middleburg have established high standards for the quality of their wines. Owned by de Vink, the 100-acre estate is planted to 16 acres of Cabernet Sauvignon, Merlot, Cabernet Franc, and Petit Verdot along a granite hillside. “We’re incredibly proud to be in Virginia, but we don’t want that to be an element that holds us back. 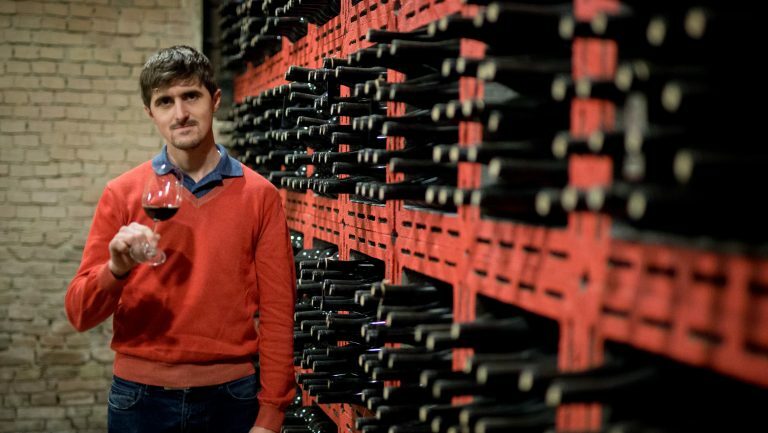 Our goal is to make world-class wine that happens to be in Virginia, just like Chateau Musar is a world-class wine that happens to be from the Bekaa Valley in Lebanon,” says de Vink. While many wineries continue to follow the tasting-room model of offering varied selections to suit the palate of any consumer that might walk through the door, RdV employs the opposite philosophy, focusing on two specific Bordeaux blends. Lost Mountain is Cabernet Sauvignon-dominant with broad shoulders and a heavier presence of new oak. The Rendezvous is a softer, Right Bank-style of wine made with a higher percentage of Merlot. Considering that RdV wines are sold at upward of $100, it’s clear the finely tuned team is working at the higher echelon of Virginia winemaking. While they may not be representative of most Virginia wineries, producers such as RdV, Linden Vineyards, and Barboursville are setting the pace for quality winemaking in the state. Virginia may have a long winemaking history, but Ohio has quite a heritage as well. Most people run into that history when experiencing Ohio wine for the first time, which is often in the form of Pink Cat, a sweet rosé made from the Catawba grape. Catawba was first grown along the Ohio River in the mid-1800s by Nicholas Longworth. His wines were sold across the US and in Europe, and thanks to their success, Ohio was the largest producer of wine in the United States by 1860. By the turn of the century, a handful of wineries could be found among the islands of Lake Erie, where there remains a high concentration of wineries today. While the native American grape variety is still used to make wine—as well as juices, jams, and jellies—it’s only a piece of Ohio’s winemaking heritage. The modern winemaking industry in Ohio is focused on quality wines that can compete on an international level. Rather than talk of native varieties, the discussion has moved to cool-climate grapes in regions along Lake Erie, where Pinot Noir, Pinot Grigio, Dolcetto, Grüner Veltliner, Riesling, and Chardonnay have found a home. The 2.2 million-acre Lake Erie AVA begins near Toledo and stretches along the south shore of the lake through Pennsylvania and into Chautauqua County in New York. This narrow district, no more than 20 miles at its widest point, is home to 24 wineries within the Ohio state lines. Soils are primarily clay and glacial rock deposit. While cool climate varieties such as Pinot Noir, Chardonnay, Riesling, and Cabernet Franc do well, Concord grapes are also widely planted for juice production. Located within the Lake Erie AVA, the Grand River Valley spans 125,000 acres and is home to 19 wineries. Just beyond the bounds of the actual AVA, there are another 14 wineries. Sand- and gravel-based topsoils efficiently disperse excess rainwater during wetter seasons. This small, 640-acre AVA is located on the North Bass Island, which is located near the town of Sandusky. About half of the island is planted with state-owned vineyards, primarily featuring Riesling, Gewürztraminer, Chardonnay, Catawba, and Delaware. There are no wineries in the AVA. Founded in 1982, the 3,600-acre Loramie Creek AVA was once heralded for red wines made from the French-American hybrid Baco Noir, but today, there are no operating wineries or vineyards in the region. The dark loamy soils are not well drained and, with high levels of organic matter, are not conducive for quality viticulture. Along the southern area of the state, the 15 million-acre Ohio River Valley is the second largest wine appellation in the United States, running along the catchment of the Ohio River through West Virginia, Ohio, Indiana, and Kentucky. Here, soils are diverse and the climate vacillates between humid subtropical and continental. There are 16 wineries within the AVA, with another 8 just outside its borders. Indeed, with the addition of wind machines in places like the Grand River Valley, producers have been able to also help stave off spring frost. Salvatore leverages the benefits of the lake, which, being the shallowest of the Great Lakes, allows things to warm up more quickly from the winter. While budbreak does tend to be delayed, the vineyards in his region have less of a problem with late-spring frost. In the fall, the warmth from the summer keeps the lake warmer longer, which allows the grapes to ripen on the vine longer. “The red wines really need the sun and the heat, which we lack in Ohio, so we try to use the lake as our friend,” says Salvatore. But for all the good it brings, the humidity from the lake ushers in heavy pressure for mildew and disease, making spraying a necessary part of vineyard management. In addition to Riesling, Chardonnay, Cabernet Sauvignon, and Cabernet Franc, Pinot Grigio was among the first of Salvatore’s plantings in the 1990s. Gewürztraminer, Pinot Noir, Dolcetto, and Malbec followed later. Salvatore is also planting Müller Thurgau. In his time at Firelands, it’s fast become one of Ohio’s top wineries, with distribution in a few other states. Over in the Grand River Valley, the Ferrante family has been making wine in Ohio since 1937. About 45 miles northeast of Cleveland, Ferrante Winery is currently operated by five of eight siblings, including Nick Ferrante as head winemaker. 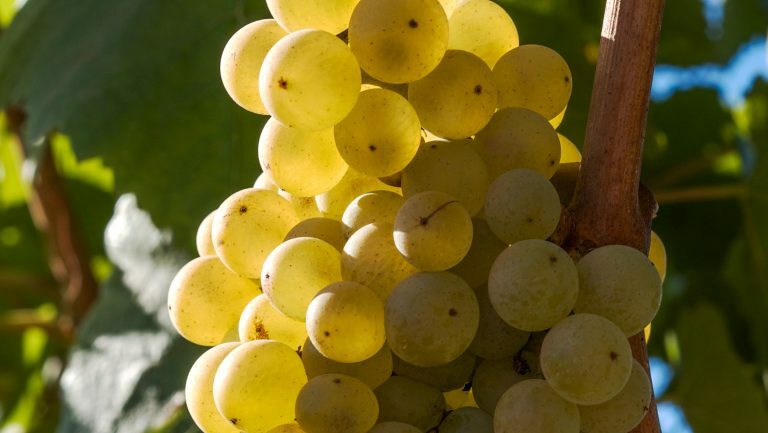 Although much of its early production was exclusively native and hybrid grapes, the winery began including vinifera grapes in the 1990s, including Pinot Grigio, Grüner Veltliner, Chardonnay, Pinot Noir, Cabernet Franc, and Dolcetto. While cool-climate grapes dominate the Lake Erie winegrowing regions, in the southwest part of the state, Bordeaux varieties have garnered interest in the Ohio River Valley AVA. Here, growing conditions are considerably warmer, allowing for a longer growing season. In a good year, budbreak is often in mid-April, and grapes can hang into October. “This allows us to develop physiologically mature grapes for our wines,” says Maura Meranda, of the Meranda-Nixon Winery. In 2003, her husband, Seth, transitioned his family farm, which originally belonged to his grandfather, from tobacco to grapes, a few acres at a time. The soils are well-drained over broken limestone, and over time, the 15.5-acre vineyard has been planted according to site selection with varieties including Chardonnay, Cabernet Franc, Cabernet Sauvignon, and some Norton, Traminette, and Catawba (the latter “for the history,” Maura says). On the north end of Breckenridge, one of Colorado’s largest and most celebrated ski towns, is a spacious tasting room for the Continental Divide Winery, where myriad passersby hailing from all corners of the country stop in to sample local wines. With a production facility located at 10,000 feet in nearby Fairplay, Continental Divide Winery touts itself as being the highest-elevation winery in the country. Its dry Riesling is ripe, with a crisp, mineral-driven edge, and the Merlot is elegant and bright, with tart red fruit notes and soft tannins. A relative newcomer, the winery joins a handful of other Colorado tasting rooms that have sprung up in Breckenridge in recent years. And Breckenridge is not alone. Most of Colorado’s 140 wineries are actually scattered across the Front Range of the Rocky Mountains, where Denver, Boulder, and Colorado Springs are located. Colorado has been producing wine since 1890, when Governor George A. Crawford first planted grapevines near Palisade, in western Colorado, now known more for its fruit-tree farming, including peaches and apples. But many credit Dr. Gerald Ivancie with launching the modern Colorado wine industry in 1968 with Ivancie Cellars, which was followed by a handful of other pioneers through the ’70s and ’80s, including Colorado Mountain Vineyards and Plumb Creek Cellars. 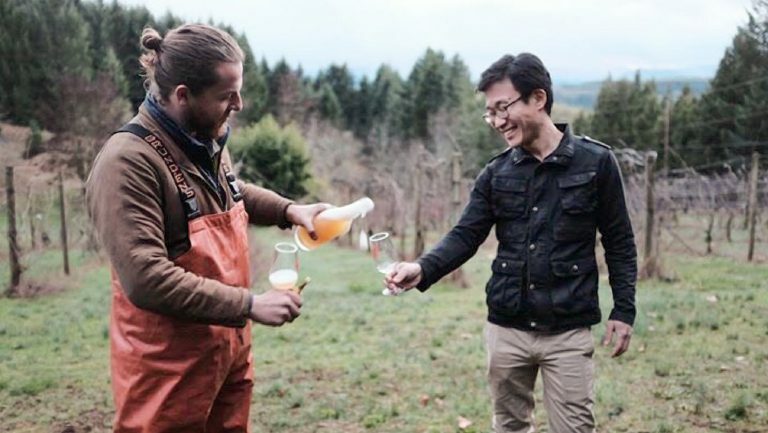 Today, with more than 1,000 acres of vineyard plantings and 140 licensed wineries (a number that includes a handful of ciders and meaderies), the state produces upward of 150,000 cases annually. Producers’ reasons for favoring Colorado as a winegrowing region include its uniquely high elevations that stretch from 4,000 to 7,000 feet, among the highest in the world, second only to areas of Argentina and Bolivia. The altitude not only provides drier conditions, which keep disease pressure low, but also leverages the average 300 days of sunshine to frame an advantageous growing season—provided late-spring frosts are avoided. There are two official AVAs, where more than 90% of the state’s grapes derive. The largest is the Grand Valley, which accounts for 80% of the grapes grown in Colorado. Grand Valley is located on the western slopes of the Rocky Mountains between Palisade and Grand Junction. The vineyard elevations sit primarily at about 4,500 feet on an east-to-west series of mountains called the Book Cliffs, which face south, offering warmth to the valley, while breezes from the Colorado River keep air flowing through the eastern vineyards. Most of the vineyards are located farther east within the Grand Valley, as western sites are more susceptible to temperature extremes. The well-drained soils are predominantly alkaline from remnants of an ancient seabed and include a combination of three rock types from eroded sediment washed down from the mountains. Along the floor of the valley, producers primarily work with Rhône varieties such as Syrah, Viognier, Grenache, Mourvèdre, and Roussanne. But in the higher-elevation sites, Bordeaux grapes such as Merlot, Cabernet Franc, Malbec, and Cabernet Sauvignon are more prominent. Many assume the region’s biggest challenges are cold winters and late-spring frosts. While both are major concerns, the real challenge comes from the ample sunshine, which produces significant vigor in the vines. As a result, growers must be vigilant with canopy and fruit management throughout the growing season. About 65 miles southeast of the Grand Valley, between Hotchkiss and Paonia along the North Fork of the Gunnison River, is the West Elks AVA, a significantly smaller region that accounts for about 10% of Colorado’s grape production. With elevations closer to 5,500 feet, the growing conditions are similar to the Grand Valley’s but significantly cooler, with a shorter growing season. As a result, primary vineyard plantings include Riesling, Gewürztraminer, Pinot Grigio, and some Pinot Noir and Chardonnay. Black Bridge Winery has excelled with Pinot Noir, and Stone Cottage Cellars stands out for its elegant Riesling. Beyond the two official AVAs, the final 10% of the state’s wine comes from a couple of outlier regions, including in south-central Colorado near Canyon City and in the far southwest part of the state, near Montezuma in the Four Corners region. Here, Sutcliffe Vineyards has established itself as a quality producer of Bordeaux and Rhône grapes at elevations above 5,000 feet. Former Sutcliffe winemaker Ben Parsons began his winemaking career in Australia and New Zealand before moving to Colorado, where he worked in the Grand Valley before joining Sutcliffe. Every summer brings a virtual monsoon season with the daily threat of afternoon showers. “Everyone thinks we’re this dry, high-altitude area, but we struggle with rain all the way through August and September, which means we struggle with rot and humidity,” he continues. Buckel recently relocated to Crested Butte, a ski town farther east, where he’s building a tasting room for his family label. And while he also sources some fruit from both the Grand Valley and West Elks, he is confident in the potential for the Four Corners region. Joe Buckel isn’t the only producer selling his wine far from where it is grown. In fact, more than half the state’s wineries are on the eastern side of the Rocky Mountains, near the larger cities. 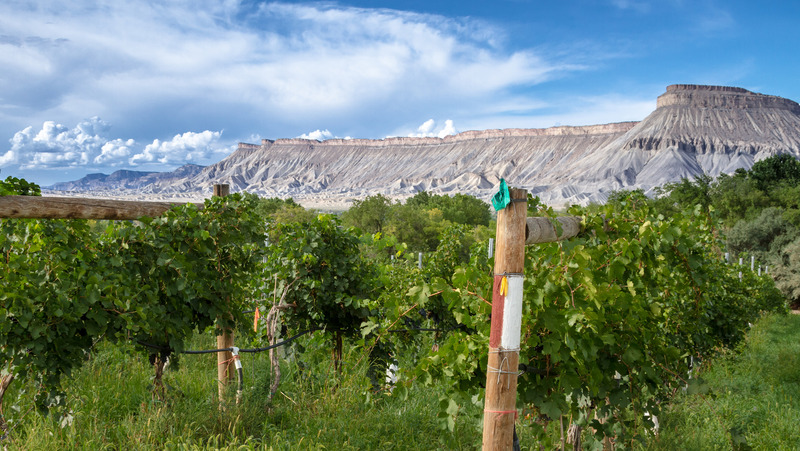 This means that many producers rely on a network of growers to manage their fruit, which is then trucked east along Interstate 70 to the myriad wineries scattered between Colorado Springs, Denver, and Boulder. It’s a process long endured by John and Ulla Garlich, who first planted their 10-acre vineyard in Palisade in 1996 to create BookCliff Vineyards. Originally working with Chardonnay, Merlot, and Cabernet Sauvignon, BookCliff has grown to include an additional 27 acres of vines primarily planted with Rhône varieties as well as Graciano and Souzão. But while the vineyards are in the Grand Valley, the 5,000-case winery and tasting room are located in Boulder. After all, it’s a lot easier to transport grapes over the mountains than people. Over the years, BookCliff has cemented a loyal following of Colorado consumers, selling wines from its tasting room and through some retail and restaurant locations. More recently, John Garlich has noticed an increase in interest from visitors who are from outside the state. Nestled right up against the eastern borders of Oregon and Washington, Idaho’s primary two wine regions have slowly emerged as promising grapegrowing areas, producing wines rich with concentrated flavors and naturally high acidity. With premium vineyard land in eastern Washington and Oregon, it only makes sense that the western border of Idaho would be an ideal winemaking area as well. After all, when geologic events were taking place hundreds of thousands of years ago, there were not state lines to consider. In the past decade, the number of Idaho wineries has increased from 38 to 52. Though some purchase grapes from Washington and Oregon to supplement their programs, many rely solely on the 1,300 acres of vineyards planted within the state. But what Idaho wine lacks in size it makes up for in potential. Compared with its neighbors to the west, land is significantly less expensive, there’s ample water, and the climate conditions are ideal for grapegrowing. (The region is often compared with Washington’s Columbia Valley.) Idaho experiences four full seasons and is commonly associated with cold winters. These winters are helpful in allowing vines to fully rest in dormancy, free of pest and disease pressure before budbreak. (In fact, most vines are own-rooted.) During the summer, cool nights and warm days witness diurnal temperature variations up to 30 to 40 degrees, allowing grapes to achieve balance during the typically sunny growing season. Low annual precipitation helps to keep vineyards airy and dry, while high water tables in the region from the Snake River Plain Aquifer allow growers to irrigate as needed. 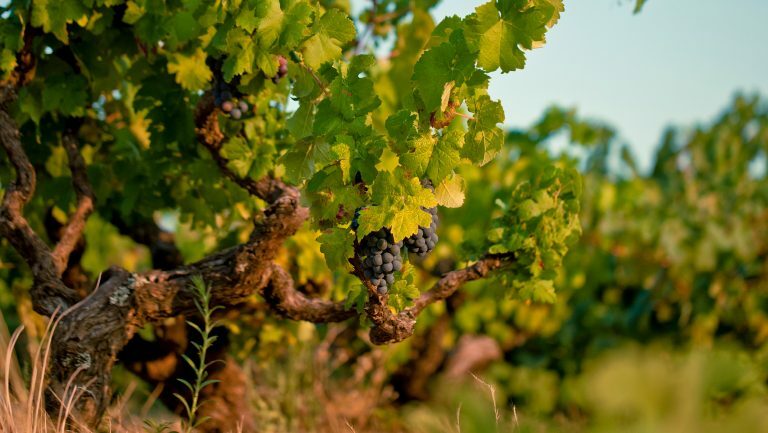 While most plantings are Riesling, Chardonnay, Pinot Gris, Cabernet Sauvignon, and Merlot, producers have also shown interest in Rhône and Spanish varieties. Most of Idaho’s vineyards are planted within the Snake River Valley AVA, which encompasses about 8,000 square miles in the southwest portion of the state along the Snake River, as well as two counties in eastern Oregon. The region overlays an ancient volcanic basalt lake covered in windblown loess soils known as the Scism series. With elevations between 2,500 and 3,000 feet, it is home to 1,125 acres of vineyards. The AVA is considered continental, with a growing season that begins in later spring followed by a quick warming trend. Though conditions are dry, the threat of late-spring frost is always a concern. On the other end of the growing season, early winter frost can be a challenge, often pushing producers to harvest fruit a little earlier. Precept Wines is based in Washington’s Yakima Valley but also owns a few vineyards and wineries in Idaho, including Skyline Vineyard, the largest in the state. At 400 acres, it accounts for one third of Idaho’s overall plantings. The vineyard supplies many of Idaho’s best-known wineries, including Precept’s own Ste. Chapelle Winery, which was founded in 1975 and has gone on to become one of the flagship wineries of Idaho’s modern wine industry. The Sawtooth Vineyard, another Precept property, is the 70-acre estate vineyard for Sawtooth Winery. At 2,700 feet, it sits on well-drained Scism silt loam soils and includes Bordeaux varieties as well as Roussanne, Pinot Gris, Syrah, and Tempranillo. Meredith Smith heads up the winemaking team for both Ste. Chapelle and Sawtooth. Following a career in real estate development in Dallas, Smith fell into winemaking. From Dallas, she studied viticulture by extension at Washington State University, then made her way up from the crush pad at Sawtooth beginning in 2009. When previous winemaker Bill Murray moved on, Smith stepped into the role. “We’ve seen a lot of change in Idaho wine in the past 10 years,” she says. “The evolution in quality has really advanced, and we’re seeing more and more people want to get in on what’s happening here.” In fact, Smith points to California and Washington peers who have inquired about the cost of land and opportunities for discovery in Idaho. Within the Snake River Valley, the Eagle Foothills AVA lies just north of Boise and encompasses nearly 50,000 acres of granite pebble soils mixed with volcanic ash and sandy loam. Approved in 2015, the AVA reaches elevations of 3,000 feet and is greatly influenced by nearby Prospect Peak. Of the 67 vineyard acres planted within the region, nearly 50 acres are owned by 3 Horse Ranch Vineyards, one of the state’s largest producers. Further north along the southeastern tip of the Washington border, the Lewis-Clark Valley is the state’s newest AVA, made official in April 2016. The region spans 479 square miles with 80 acres of vineyard plantings. The topography is more dramatic than in the Snake River Valley, with steep canyons cut from the Clearwater and Snake River tributaries. Elevations are on average about 600 to 800 feet, and the area typically sees less threat of spring frost and slightly earlier budbreak than in the Snake River Valley. Here, Melissa Sanborn operates Colter’s Creek Winery with her husband, Mike. Within the region, which she likens to parts of Yakima and Walla Walla in Washington, she manages six estate vineyard sites totaling 30 acres, each with different microclimates and varying canyon slopes. In recent years, producers in unsung winemaking states such as these have further defined the nuances and possibilities of their regions. The term emerging feels apt—signaling a rapid growth away from a beginning. With quality wines and clearer regional identities, states such as Virginia, Ohio, Colorado, and Idaho deserve the attention of wine industry professionals and consumers well beyond their borders.